This category includes images and animations designed for use with guestbooks. Buttons, guestbook signs, books, quill pens and ink, guestbook graphics for black pages and people reading or working on guestbooks. You may use our guestbook clipart on your personal, and non profit websites to enhance your web pages and/or link to your guestbook pages. 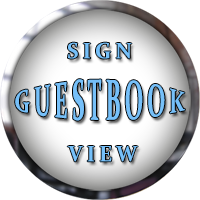 If you need a free guestbook, we have suggestions here. Guestbook button green with steel frame. Guestbook button yellow with steel frame. 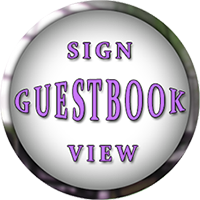 Sign or View Guestbook purple. Sign or View Guestbook blue. Guestbook sign animated with bright colors. Gold guestbook sign with vertical spin. Spinning icon with guest and book. 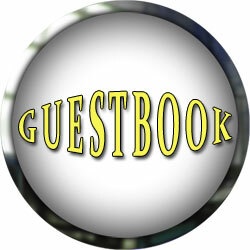 Guest Book icon with animation. Guestbook with ink and quill pen. 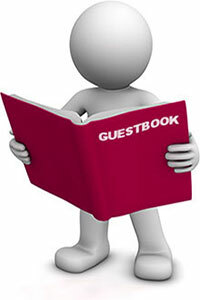 Sign guestbook for black websites. Sign My Guestbook on green and black. Sign The Guestbook flashing button. Guestbook sign in black and white. Sign guestbook with a quill pen. Sign Guestbook with chrome frame. View Guestbook with chrome frame. Sign My Guestbook with flowers. Guestbook with quill pen and skull candle. Sign Guestbook with spinning animation. View Guestbook with spinning animation. Sign Our Guestbook - red and black animation. View Our Guestbook - black and red animation. Guestbook with paint can and brush. View Our Guestbook in green with metal frame. Sign Our Guestbook in green and white with metal frame. 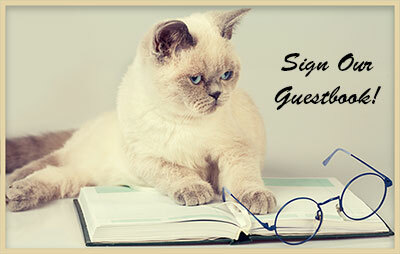 Sign Our Guestbook with cat, book and glasses. We have had this guestbook for a long time. Please Sign My Guestbook animation. Don't forget to sign guestbook. Sign Guestbook animation with quill pen. View Guestbook with quill pen. To use our free guestbook clip art and animations please give us credit. Guestbook animations, guestbook graphics, icons, animated guestbook images.